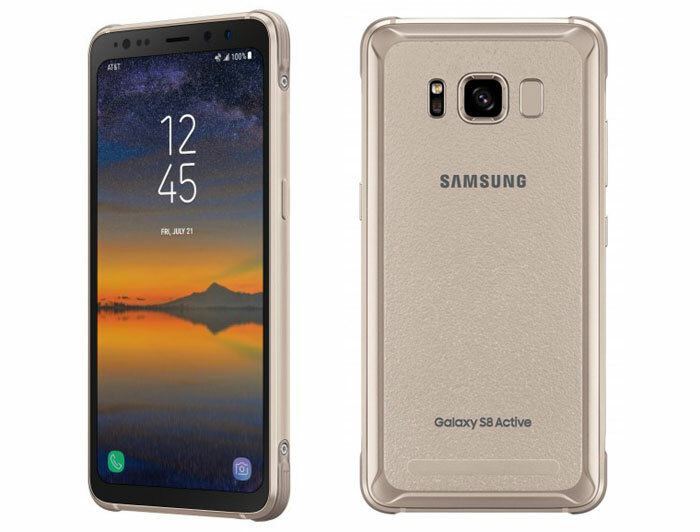 Samsung will release the Galaxy S8 Active smartphone in the USA on Friday but it is available to pre-order immediately from AT&T. Described as the "toughest Galaxy Smartphone yet", the S8 Active also raises the bar for sleek modern and powerful hardware in a rugged phone. It boasts many of the attractions of the latest S8 smartphones but is built into a shock-, shatter-, water-, and dust-resistant metal framed structure. Above you can see the excellent specs on offer with the Galaxy S8 Active. Of course it’s noticeably bulkier than the regular 5.8-inch Galaxy S8 which is 149 x 68 x 8.0mm and 155g. Actually, it's bigger in every dimension and heavier than the Galaxy S8+, but everyone expects durable phones to have some extra bulk and mass. In addition to the above tech specs, Samsung provides many details about the S8 Active's durability. It is said to be constructed from military grade materials and has a metal frame and a built-in bumper to protect against shock, abrasion, tilting or twisting. An AT&T exec suggested the S8 Active is great for "streaming movies and TV at the pool, the beach or on the ski slopes anytime and anywhere". Meanwhile Samsung pitches it at "hard-working parents, corporate athletes and outdoor enthusiasts". The device has passed MIL-STD-810G testing against a subset of 21 specific environmental conditions. Other features that might be of interest are; the Samsung Knox backed security, a selection of biometric features such as fingerprint and iris scanners, and Samsung Bixby AI assistance. 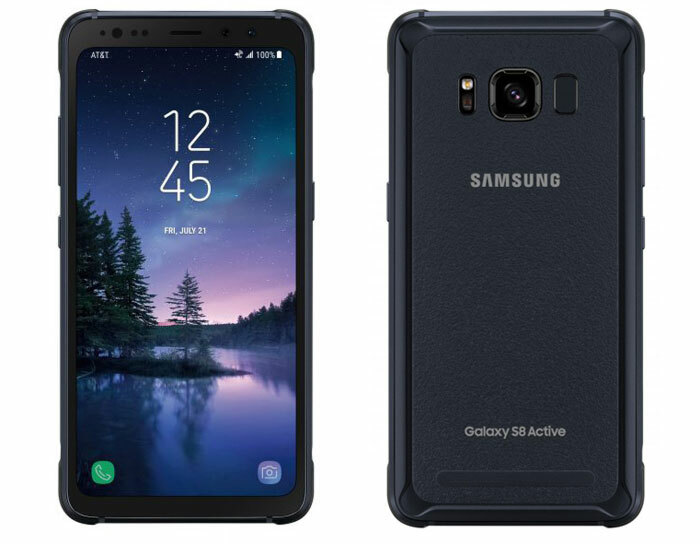 The Samsung Galaxy S8 Active can be bought for US$850 outright, or via an AT&T contract for 30 months (with lots of American legalese small-print). It's available in meteor grey or tungsten gold. We don't have information about when/if the Galaxy S8 Active might officially come to the UK. I'm an owner of the older S5 Active. Never looked at the S6 as it neither removable battery or microsd slot. The S7 Active improved that with the microSD slot. Been waiting on the S8 Active, but I don't need a screen bigger than 5", and the cost difference is too much. I paid a little over £300 for my S5 Active, not paying ~£800 for the S8 Active (which is probably what it will be). So I've just ordered the Xcover4.